For those without comedic tastes, the so-called experts at Wikipedia think they have an article about Alice in Chains. During the early morning of the summer of 1987, Layne Staley emerged from his parents house (age 20, wearing his PJs) before stubbing his toe on the side of his redneck farmer neighbor's brick-house, which was later discovered by local authorities to be a slaughter house full of the insides of various artists involved with the recording of popular 80s hair bands. Nonetheless, the result of the stubbing forced Staely to produce an unusual, low-toned, yet Amazing voice, which was heard by neighbors, the beautiful singing of Staley brought them to their knees. A Homeless America/street musician/ street walker who was delivering the morning paper to Jerry Cantrells house (out of sheer boredom and self pity since it was him who was responsible for accidentally blowing his grandmother's head-off with his rockin' guitar skills during a Rock/GRUNGE fest session with the artist known at the time as Alice 'n Chains. After attempting to administrate CPR on Staley (who was obviously conscious..) LOL Jerry Cantrell immediately asked Staley if he wanted to join a band. To his surprise, Staley accepted. This inspired Cantrell to get the band together and thank god (or whoever) That they did!! Don't forget every member in the band shared the box in which they lived - hence their breakout hit "Man in the Box"
With the highly acclaimed 'Facelift', Alice in Chains' proceeding albums Dirt, Jar of Flies passed on to the certified on the dean's list for Collins College to be quadruple platinumfied, however, due to Dean of Admissions' suffering involving abandonment issues and use of over the table drug tablets, he only had time to make it gold. It was suggested among many fans at this point, including the former CEO for Sony Corporation, Bernie Mac, that the three albums be Judy Garlanded, however, due to a sudden hype of focus by the mainstream media involving the illegal use of drugs being passed around rave parties and funeral homes, the plans to Garlandify the three hottest albums of the decade were sadly, and to the dismay of fans, dropped like that of a new born baby being dropped from the top of an Alex Johnson Hotel for the entertainment of strangers for some reality-based television show. 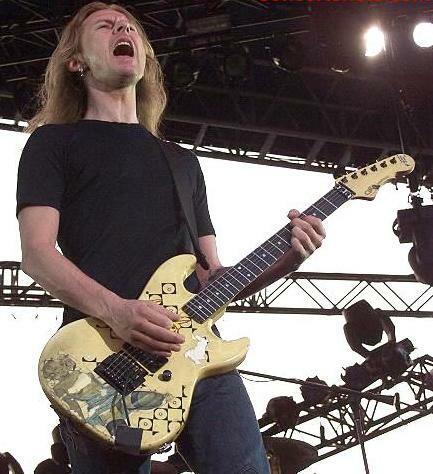 Unfortunately, as the nineties passed on, Cantrell's brain-mushing guitar acts were beginning to reach a state of crazy-madness. The first incident being that during a gig at Ron's Steakhouse of Buffet, when travelling sound tech for the band requested for Cantrell to execute the sound of a B-flat major from his guitar before the show so as to get the sound levels of the amp monitors to blend smoothly over the annoying sounds of the over-powered and loud grill systems that were being used by the employees of the restaurant. To the shock of many, the microsecond of the perfectly strummed pitch was just enough to make the sound tech's head explode into bits of pieces, leaving the head manager of the restaurant to believe the mush was nothing more than bits of lasagna and thus, using this mush to substitute certain sauces for his steak. He was later beaten to death and mugged by local authorities for this crime. The worst day of Cantrell's life, as he recalls from a recent interview was the day he accidentally killed his close bandmate, Staley: "...I was just, playing you know, some Stairway to Heaven in the studio...Layne comes in and starts to mumble some of the words to it...tells me, 'Hey, man...turn that up.' So I do what he says, and apparently it wasn't enough, because he tells me next, 'No, no, no...keep goin' man. Just a lit...' and before I knew it...his brains w-w-were all over the place." At this point, things were only getting worse. Days later, the A&R representative who signed the band threatened legal action if Atlantis wasn't discovered soon. Feeling enraged, depressed and bitter, Cantrell took up collecting pogs. 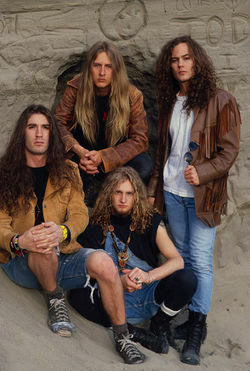 Alice in Chains is part of Uncyclopedia's series on Mass Media.